The new Jeep Grand Cherokee is the most awarded vehicle of the year with awards like Best Mid-Size SUV, 2018 People’s Vote Award, and Highest Model Loyalty Award and earned a 4.5 out of 5 stars in its Car and Driver Review. The Grand Cherokee has upgraded active safety and security and best-in-class fuel economy for the best out of your vehicle’s performance. Drive with efficiency and style with a Grand Cherokee when riding around Astoria. Diamond Black 2019 Jeep Grand Cherokee Laredo 4WD 8-Speed Automatic 3.6L V6 24V VVT Multi Point inspection *, Fully Serviced & White Glove Detailed *. Billet Silver Metallic 2019 Jeep Grand Cherokee Laredo 4WD 8-Speed Automatic 3.6L V6 24V VVT Multi Point inspection *, Fully Serviced & White Glove Detailed *. Bright White Clearcoat 2019 Jeep Grand Cherokee Altitude 4WD 8-Speed Automatic 3.6L V6 24V VVT Multi Point inspection *, Fully Serviced & White Glove Detailed *. Crystal Metallic 2019 Jeep Grand Cherokee Altitude 4WD 8-Speed Automatic 3.6L V6 24V VVT Multi Point inspection *, Fully Serviced & White Glove Detailed *. Diamond Black 2019 Jeep Grand Cherokee Altitude 4WD 8-Speed Automatic 3.6L V6 24V VVT Multi Point inspection *, Fully Serviced & White Glove Detailed *. Why Buy a Jeep Grand Cherokee? The Grand Cherokee was crafted for those who savor both familiar journeys on paved roads and new journeys off-road. Available technologies, including four 4×4 systems, the Selec-Terrain, Traction Management System and the Quadra-Lift, Suspension System provide gripping performance under nearly all road conditions. 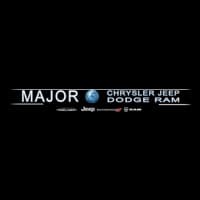 Visit Major Chrysler Dodge Jeep RAM! Contact us today to take the new Jeep Grand Cherokee for a spin yourself or view our inventory of new vehicles to compare and find the right Grand Cherokee trim for you. We’ll provide an affordable vehicle that you’ll be showing off to everyone in the Sunnyside area. You can also compare the Jeep Grand Cherokee vs. Toyota Sequoia to check out the competition!